We are all aware of the amazing color-changing ability of squids. 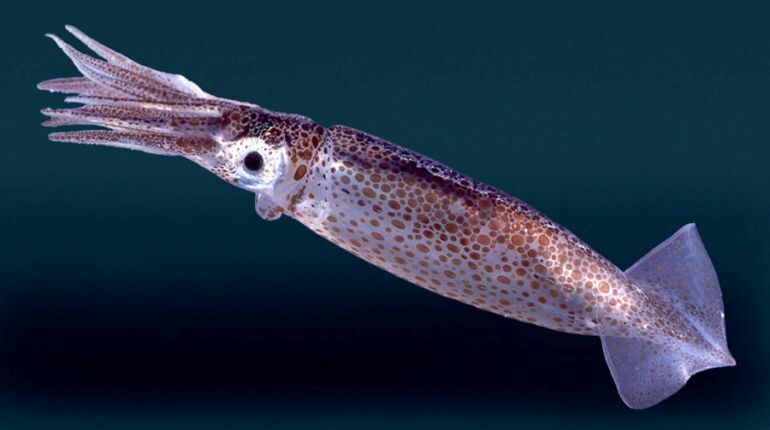 A property that renders these marine creatures invisible to predators and potential prey, the squid’s impressive camouflage skill has been the object of interest for some of the brightest scientific minds across the world. Previously, a group of researchers, at Rice University, developed an advanced RGB display technology using colour-changing squid as the inspiration. This time around, however, scientists have managed to isolate and utilize the protein responsible for the cephalopod’s camouflage properties. Soldiers wear uniforms with the familiar green and brown camouflage patterns to blend into foliage during the day, but under low light and at night, they’re still vulnerable to infrared detection. We’ve developed stickers for use as a thin, flexible layer of camo with the potential to take on a pattern that will better match the soldiers’ infrared reflectance to their background and hide them from active infrared visualization. Recently presented at the American Chemical Society’s national meeting, the study outlines the approach adopted by the researchers to isolate and utilize reflectin. At first, they produced the protein, in the laboratory, using E. coli bacteria and, then placed it onto a hard substrate. Their initial findings showed that exposure to acetic acid vapors could actually cause the protein to swell up and become invisible under infrared light. While it does open doors to a lot a new possibilities, such a condition is not suitable for soldiers in battle. What we were doing was the equivalent of bathing the film in acetic acid vapors — essentially exposing it to concentrated vinegar. That is not practical for real-life use. We’re going after something that’s inexpensive and completely disposable… You take out this protein-coated tape, you use it quickly to make an appropriate camouflage pattern on the fly, then you take it off and throw it away. While the requisite technology is still under development, Gorodetsky hopes that soon soldiers would be able to carry roll of these easy-to-use invisibility stickers in their backpacks. However, there are quite a few challenges that the team has to overcome before such a goal can be achieved. The researchers are currently working towards developing an advanced camouflage system, where all the stickers behave similarly. They are also looking for ways to enhace the brightness of the invisibility tapes. At present, the squid-inspired stickers are capable of reflecting light of near-infrared wavelengths. Tweaking the properties could make the material more versatile, thereby ushering a wider range of applications, including specially-engineered clothing that could reflect or release the user’s body heat in accordance with the surrounding environment.